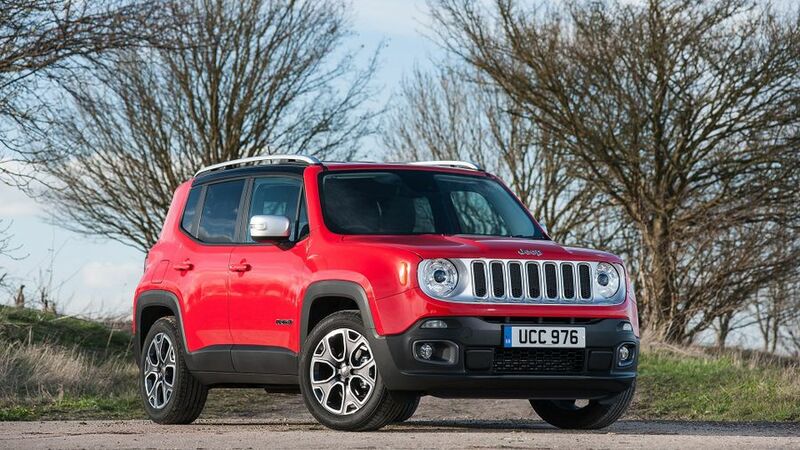 The Renegade is a worthy addition to the congested compact SUV class. For buyers with a focus on off-road ability, space and practicality, and a fun sense of personality, it offers something different from the norm. However, high prices, refinement issues and a firm, bouncy ride make it harder to recommend to everyday family buyers. Interested in buying a Jeep Renegade? 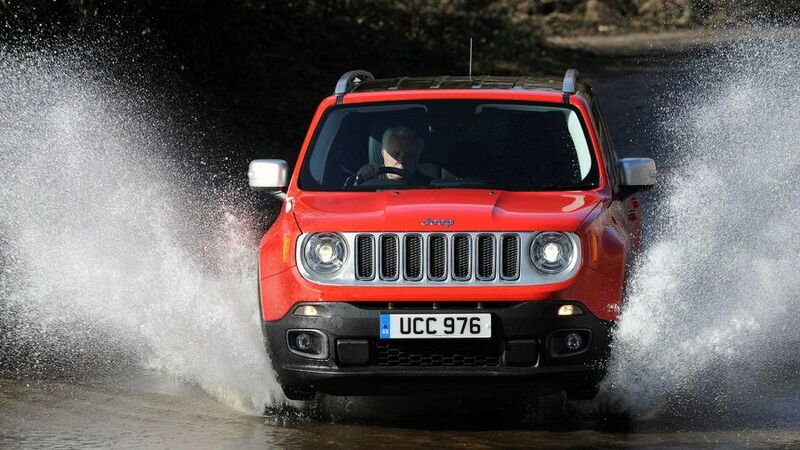 Most cars in this class, from the avantgarde Citroen C4 Cactus, to the bug-eyed Nissan Juke and swollen Mini Countryman - are designed to stand out, but even compared to these extrovert models, the new Jeep Renegade will be very hard to ignore. It's available in a wide range of bright colours that accentuate its massive wheelarches, trademark seven-slot chrome grille and boxy shape, and every model in the range comes with alloy wheels as standard. It also comes with plenty of nods to its off-road ability, with bumper protectors, roof rails, and rear lights which were inspired by military Jerry cans. This is a car for people who don't take themselves too seriously then, but we rather like it. Step inside the Renegade, and the cheeky, fun attitude of the exterior is carried over wholesale. It definitely feels robust; all the controls are big, chunky and easy to grasp, with a huge grab handle on the passenger side. The tall, upright windscreen and large windows mean the cabin feels really light and airy, too, and every car in the range gets a 5.0-inch touch-screen in the centre of the dash. The seating position is high enough to give you a good view down the stubby bonnet, but the front seats are not especially supportive, and the clutch pedal is a tad high, so longer journeys can mean a sore left knee and aching back. 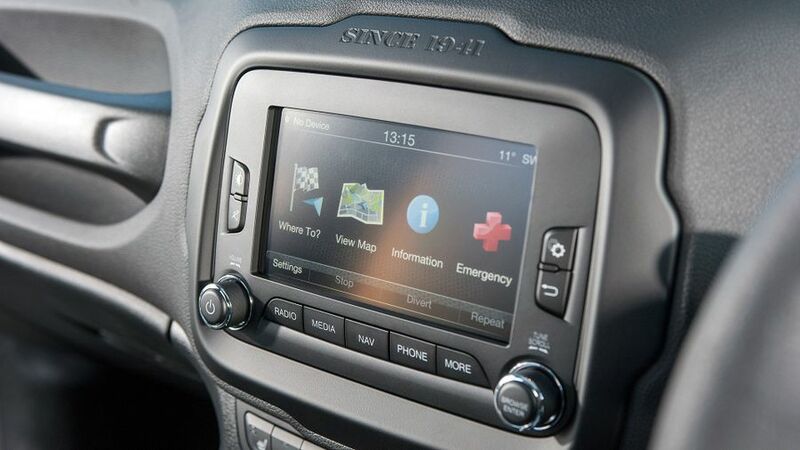 Top-spec Limited models have a smart digital screen that sits between the dials to display key driving information. It's a shame this is not standard on the rest of the range, but every car does come with a trip computer instead. In contrast to a lot of the Renegade's rivals, which fall down in this area - they have the looks of a rugged off-roader, but none of the interior space - the baby Jeep is surprisingly roomy. There is plenty of space in both rows of seats, lots of storage cubbies dotted about the cabin, and a 351-litre boot, too. Unlike other 4x4s, the transmission tunnel is surprisingly low in the floor, so you can fit three adults across the back row without discomfort. That boot is also a nice square shape - if a tad narrow but tall enough to load even fairly awkward items. The Skoda Yeti can carry more, due to the ability to remove all the back seats, but the Jeep is as practical as most family hatchbacks. The only downside is that its generous size means its less easy to park and weave through town traffic than cars like the Nissan Juke or Suzuki Vitara. Despite its brilliant abilities off-road, most buyers will spend their time with the Renegade on Tarmac. Unfortunately for them, it feels less at home on the road. The steering has a tendency to wander, self-centres too quickly, and makes the Renegade feel nervous and wayward on the motorway. The tall body leans over quite heavily in corners, and even in 4x4 models, there's not a lot of grip, with the front tyres washing wide. The ride is on the firm side too, especially at low speed - so we'd advise you avoid the 18-inch alloy wheels - they cause the car to bounce and crash, and make the Jeep a poor companion on broken, rutted Tarmac. Some of its rivals are sharper to drive, most notably the Skoda Yeti. Beyond that, 4x4 versions have a switchable four-wheel drive system, hill descent control, and a clever traction control system which adapts to different surfaces, so if you do want to take the Renegade on a far-flung adventure (or just deep into a festival car park) then it won't let you down. Previous models from Jeep have been hampered by their limited engine range, but the Renegade has a wide selection to choose from. There are two petrol choices, an entry-level 109bhp 1.6 - which is only available on front-wheel drive cars, and comes with a five-speed gearbox - and a 1.4-litre turbo with 138bhp and a six-speed manual shift. So far, we have only tried the latter, and although it need to be worked quite hard to move the Jeep briskly, it's more refined than the diesels around town, and comes with stop/start as standard. 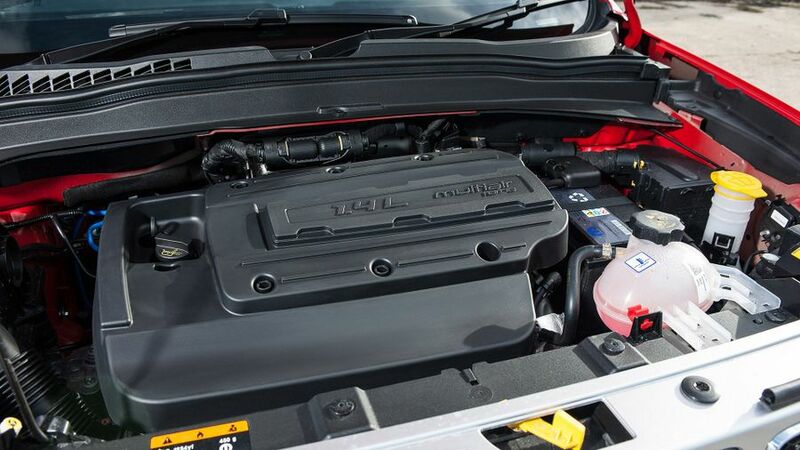 The two diesel engines are a 1.6 with 118bhp and a 2.0-litre with either 138 or 168bhp. We drove both, and despite the extra engine capacity the difference in performance is minimal. Both engines feel strong in-gear, and have a performance advantage over their closest rivals. However refinement at low revs is average, and the power band of the diesels is quite narrow, so you need to use the gears correctly to keep momentum, and to ensure a decent turn of speed. This is not helped by the high clutch pedal, and stepped throttle, which both make the Renegade a difficult car to drive smoothly. The higher-powered engines are available with the option of an auto gearbox with nine speeds, but we've yet to try this transmission in the UK. Cars like the Mini Countryman, Suzuki Vitara and Nissan Qashqai all produce less CO2 than even the most efficient version of the Renegade - so if you're a company car user, then most of these rivals will be cheaper to run on a monthly basis. 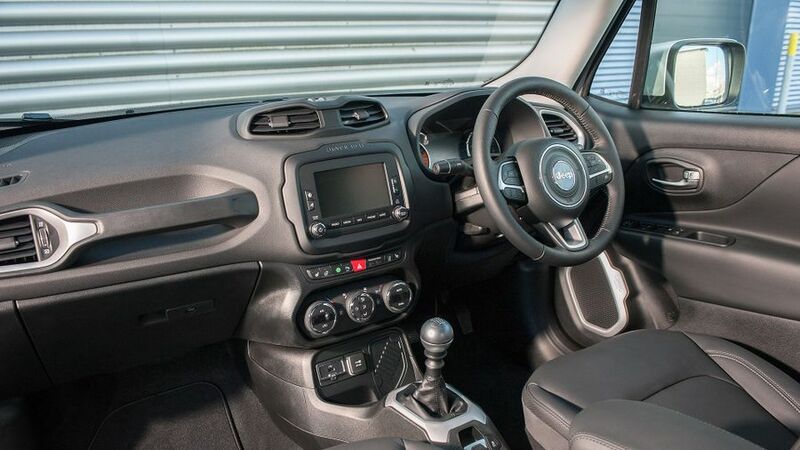 Yet the Renegade is not far behind, with the cleanest front-wheel drive 1.6-litre diesel emitting 120g/km, and with a combined economy of over 60mpg. The petrols and four-wheel drive models are less frugal, hovering around the 50mpg mark, but in reality, because they need working hard, you're more likely to get around 38 - 45mpg, depending how you drive. Although the residual values are predicted to be strong, the Mini still rules the roost in this area, and it's cheaper to buy, too. In fact, the Renegade is more expensive to buy new (spec-for-spec) than most of its nearest competitors, so it's worth trying to get a good deal and shopping around to make sure you need its off-road abilities before taking the plunge. Jeep does not have an enviable reputation when it comes to reliability, and in contrast to cars like the Kia Sportage, Toyota RAV4 and Hyundai ix35, the Renegade makes do with a standard three-year, 60,000 mile warranty. Despite this, most of this patchy record is built on the back of older models that were produced in America. The Renegade is the first Jeep to be built outside America in a shared scheme with parent company Fiat. Sadly, the Italian brand also lingers near the bottom of most customer satisfaction surveys, and while the Renegade's engines and oily bits have been tried and tested in other models, questions remain about the durability of the interior, electrical systems, and dealer service. We hope things can improve, but for now Jeep is in uncharted territory. Jeep is rightly proud of the sheer number of safety systems it has managed to squeeze into the Renegade, and between the generous amount of standard kit and the long list of options, there are far too many systems to list here. The highlights include a cross-traffic alert, which warns you if a car is passing behind when you're backing out of a space, automatic braking at low speed to avoid a collision, land-departure warning and blind spot monitoring. All of these gadgets are quite high-end, and are usually found in plush execs rather than dinky off-roaders. The Renegade also received a full five-star rating in its Euro NCAP crash tests - passing the stricter 2014 regulations with flying colours. Apart from the basic 'Sport' models, the Renegade is seriously well kitted-out. This goes some way to making up for the high price, with most versions featuring a touch-screen display, alloy wheels, DAB radio, air-conditioning, Bluetooth, sat-nav, cruise control, a six-speaker sound system, and electric lumbar support for the driver. Step up to the Limited model and you'll get luxuries like a full leather interior, heated seats, a larger and clearer central display, high-tech instrument cluster, rear parking sensors and even a heated steering wheel. The Trailhawk model has all of these goodies, but adds extra protection and transmission options for more extreme off-roading. If you want a compact SUV that doesn't shy away from muddy tracks, stands out from the crowd, and is genuinely practical, then the Renegade is a good purchase. However it's not as refined, comfortable, efficient or affordable as many of its rivals, and the high prices may put off buyers who don't need its off-road capabilities, and just want a car that's easy to see out of, relaxing to drive, and won't cost the earth to run.